Alokozay Coupon is a mailed coupon directly from Save.ca. This is a manufacturer’s coupon that you can use to save money on premium tea. Visit Save.ca, select the tea coupon, and click on ‘Get my coupons’. Create an account or sign into Save.ca and claim your coupons. You will receive your coupons within 1-2 weeks. 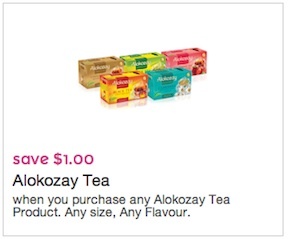 Alokozay coupon is to Save $1 when you purchase any Alokozay product, any size any flavour. Alokozay coupon is valid only in Canada. 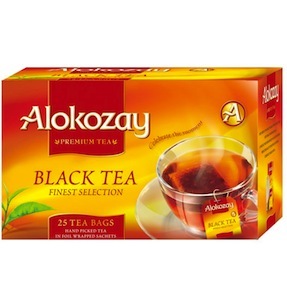 You can find Alokozay premium tea products in any grocery store, supermarket, Walmart and more. Alokozay black tea is a classic Pure Ceylon Black Tea with golden tips gives you superior quality, aroma and a mellow flavour. Available packs are 100g, 225g, 250g, 450g, 500g.